In a couple of weeks, we will witness summer’s seamless transition to fall. For many, the shift in seasons ushers in a new set of priorities. There is a renewed sense of purpose, and we are committed to finishing the year on a high note. 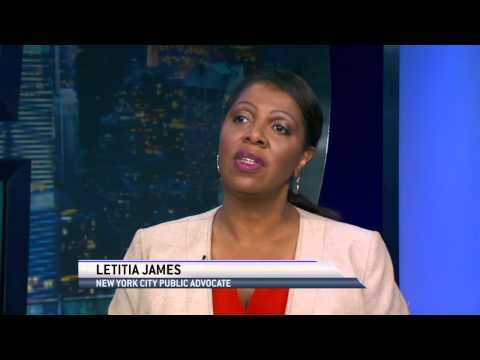 Last year at this time, Brooklynites lent their support to former Councilwoman Letitia James as she pursued her dream of becoming New York City’s Public Advocate. She would be the first African-American woman from Brooklyn to hold this position. For many voters, James was the perfect choice, as she has spent much of her career advocating for the people of Brooklyn. Ascending to this new role was clearly the next step. On November 2, 2013, she would be successful in her quest. 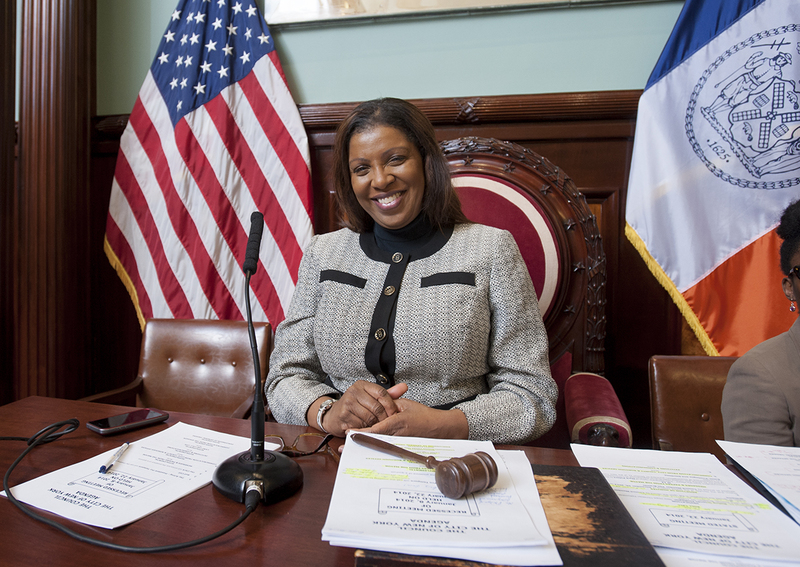 Since taking office, Public Advocate James and her team have charted a broad agenda, and are focused on creating effective change for all New Yorkers. They envision: Good Work for Fair Pay; Access to Healthcare; a Common Sense Public Education Policy; Utilizing the Court to Preserve Public Education; Universal School Lunch; Keeping New Yorkers in New York, and Legislative Action for Working People. This past April, Public Advocate James and her team published their first progress report – Our First 100 Days. Many New Yorkers have expressed their gratitude for the care and concern that she, and her team, bring to today’s challenges. As a Brooklynite, this does not surprise me. James is a tireless champion for social justice, education and legislative reform. While the title that she holds is new, her support for those in need is not. We will provide you with a closer look at these initiatives, and their impact, in future Brooklyn Legends posts. Today we wanted to provide you with a glimpse of the many things our champion is up to. Many of the people who I have come in contact with believe our Public Advocate is just getting started. She is just sharpening her focus. I believe that her best days are ahead, and I want to see her win. Her successes will become our successes, and that suits me just fine. Besides, everyone needs a champion. So much time has passed since my last post. I truly miss connecting with you. Now that summer is almost over, and my vacation and travel schedule has leveled off, you will be hearing from me much more often. Throughout my travels I have been following the events of the past few weeks. The first incident that comes to mind is the tragic death of Michael Brown, and the impact on his family and the people of Ferguson. I also find myself thinking about Michael’s friends and classmates. How will they cope? Will steps be taken to ensure that his classmates have access to grief counselors? How will history record this horrific incident? Most important off all, after the media leaves, and the 24 hour news cycle moves to the next breaking story, who will speak for Michael Brown? Will he and his parents be treated with the grace and respect that they so rightly deserve? This tragic end to a young life, filled with hope and promise, has cut to our core; giving way to a resurgence of issues we naively hoped were in the past. Despite the best efforts of our civil rights leaders, academics and influencers, prejudice, hatred and fear still exist. Unless we can create a space where honest conversations can take place around issues of race and perception, these emotions will continue to confront and challenge us. dignity, quality and freedom for their spirit. other-centered men can build up. 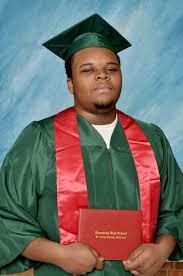 We at Brooklyn Legends join the world in celebrating the life of Michael Brown. 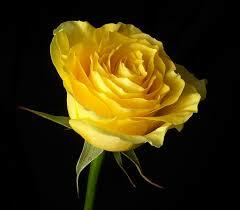 We stand united with his family and we pray that God grant them peace.